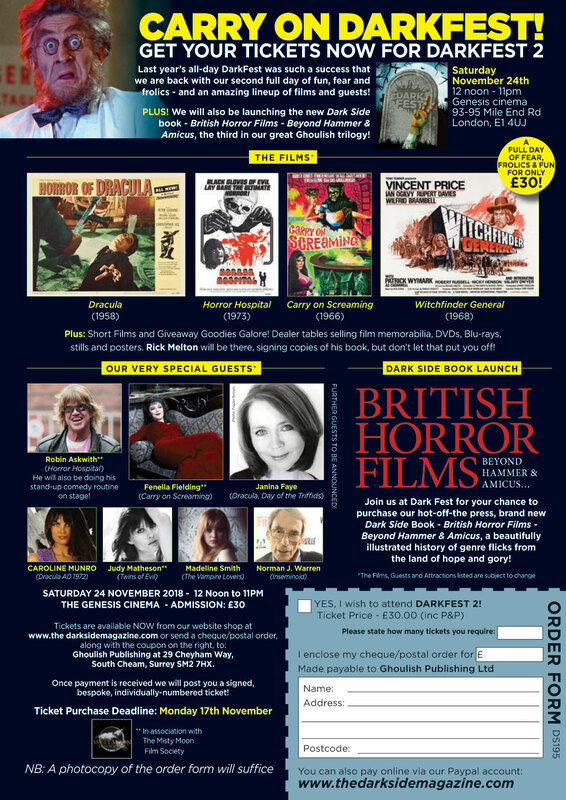 Here’s the place to pre-order your tickets to the horror event of the year for Dark Side fans. 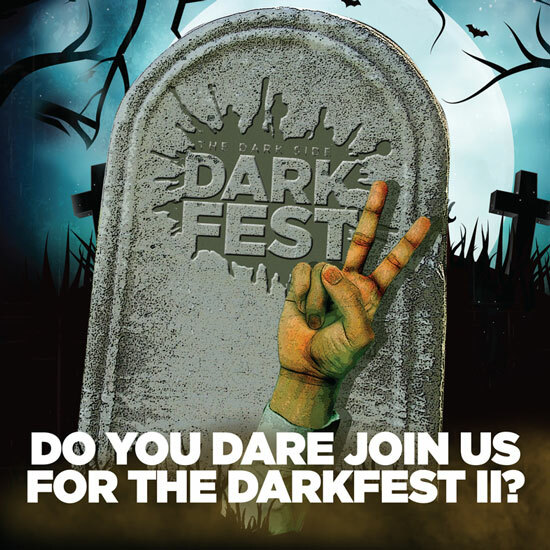 Our second all-day DarkFest is on Saturday November 24th from noon to 11pm at London’s Genesis Cinema and the accompanying information sheet tells all about the great guests and films we have lined up for you. Guests may be subject to change now that Fenella Fielding is currently unwell, though we still intend to show Carry on Screaming. We can promise you some great surprises on the day though, so grab your tickets while you can!